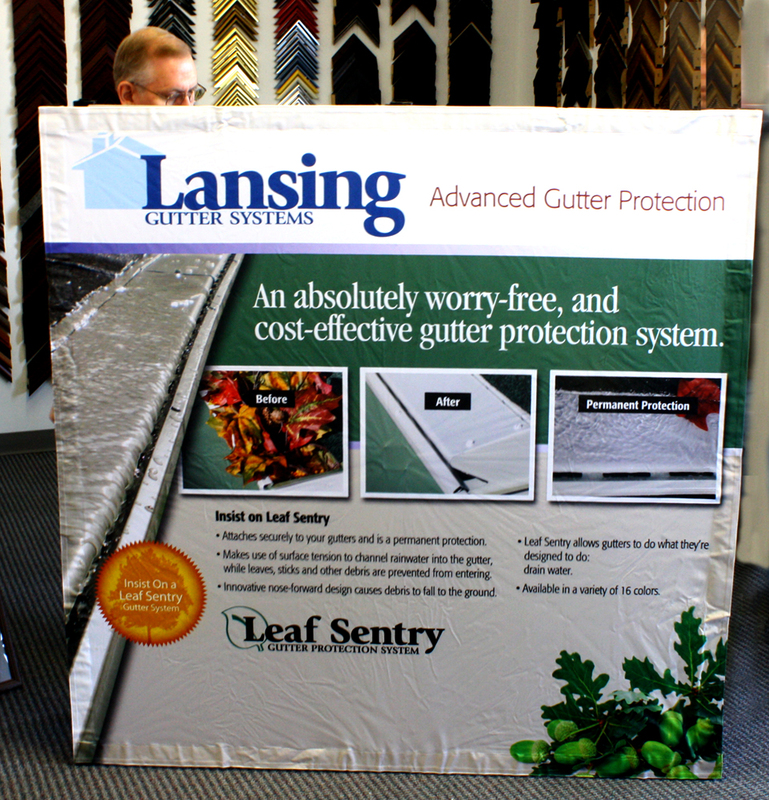 Everything you need for trade shows including pop-up displays, roll-up banners, and laminated replacement panels. 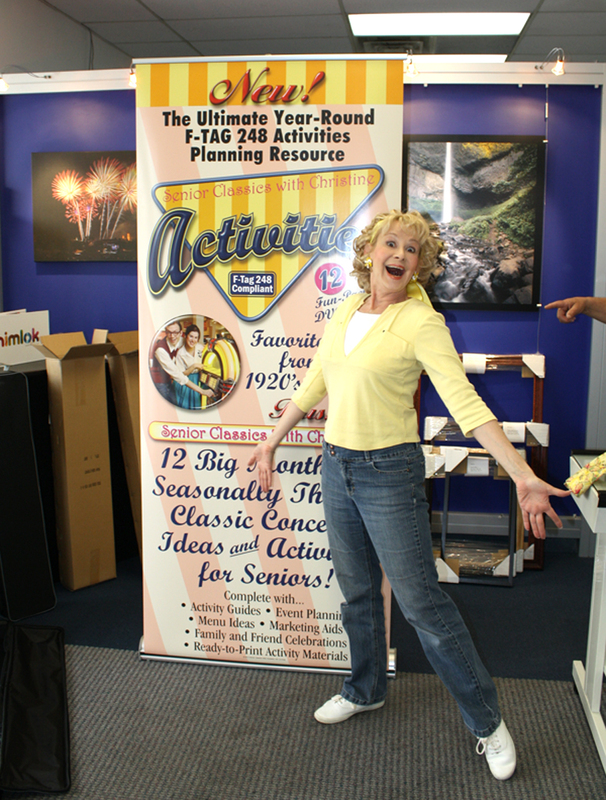 Roll up retractable banners are popping up at conventions, conferences, trade shows and on the show room floor. Why? Because they are lightweight, versatile and very economical on the yearly budget. I have attended many trade shows over the years, have shipped heavy exhibit cases to hotels and wrestled with them through convention centers and airports. 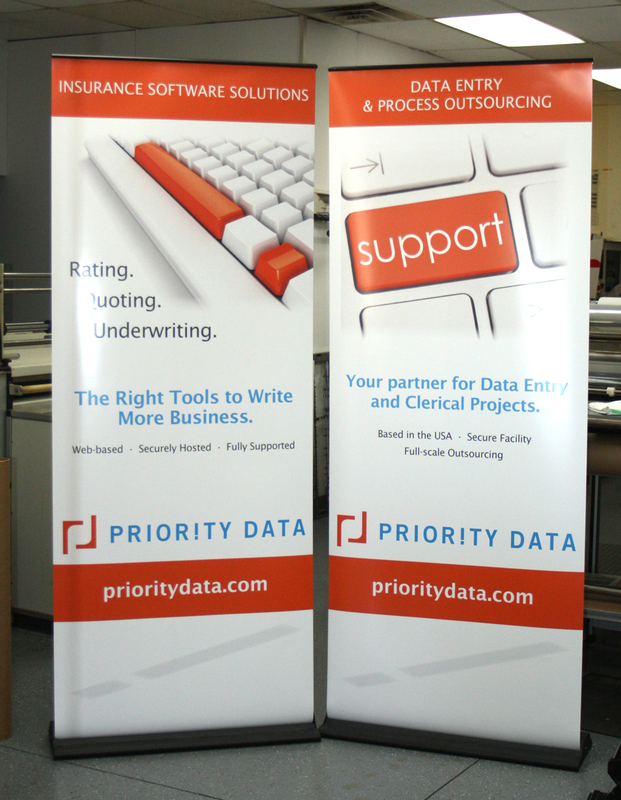 Roll up banners are the perfect solution. 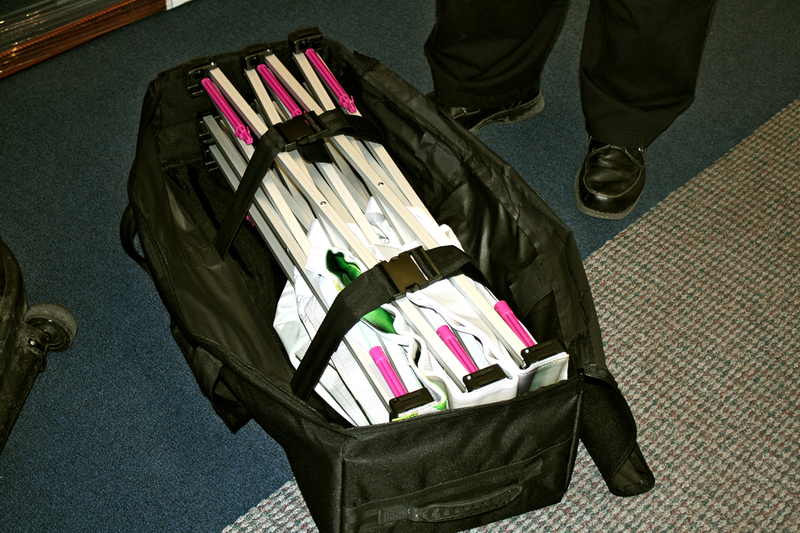 They are lightweight and fit into a soft sided shoulder case and easily fit into the back seat of a car. Set up is fast and easy, another point I like about the Orbus Orient Banners. Not to be chauvinistic (I am a women btw), but more and more women are setting up their companies booths at the convention, so easy of setup is important. In actuality, no one likes wrestling with their trade show display. Step 2: Tip the pole towards you and pull the banner from the base. Guide the banner to the top of the pole and clip into the slot. Step 3: “Walk” the banner into the upright position. At Hamilton Color Lab, in Omaha Nebraska, we see a spike in sales in the beginning of the year just before the spring show season. Graphic departments are never at a loss for various designs and branding concepts and the roll up banner is an economical way to stretch the show budget. A company can purchase four sets of bases and have an library of twenty different designs to switch out for various shows, audiences, and products. Often exhibitors bring in the bases to have us change out graphics for a small service charge. All replacement roll up banners are printed and laminated in our Omaha location and loaded into the hardware ready to take to the show. It’s not unusual for our shipping department to ship new banners and graphics to various cities around the United States this time of year. We work directly with marketing and design firms in Omaha who have customers all over the country. We can even ship directly to the conference center via UPS. Categories: Orbus Products, Trade Show Displays | Tags: Banner-making, business, conference, convention, Graphic design, graphic displays, Omaha Nebraska, Trade show display | Permalink. If you have ever set up a booth at a trade show or conference you understand how heavy and cumbersome booths and displays can be to manage. Just one trip with lugging a hard case through an airport, or wrestling the beast into your car, is a memory you don’t want to repeat. At Hamilton Color Lab we have a solution, a HopUp fabric display. 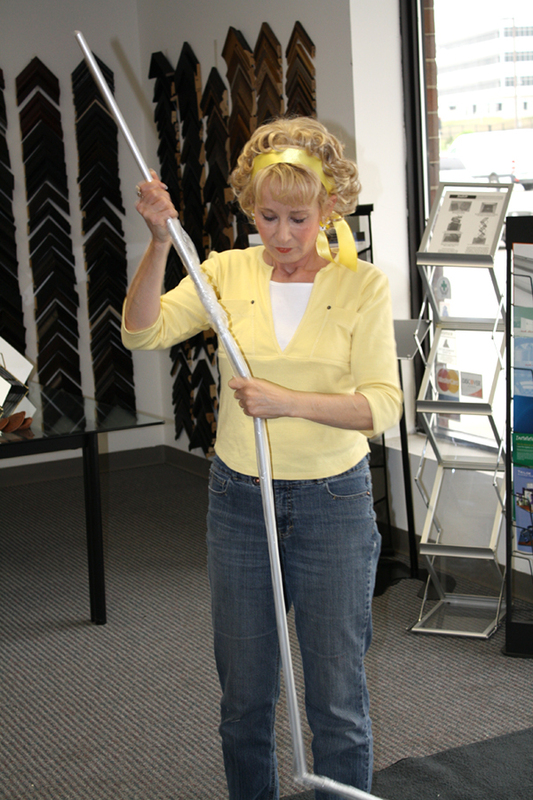 It’s lightweight, quick and easy to set up, yet the aluminum frame is heavy duty and strong. The dye-sublimation printing process on the fabric is color fast, won’t fade and is an ideal canvas for branding your company. In these economic times when budgets are tight companies want to make the make the most of their advertising and marketing dollar. With this display changing graphics is easy and economical. Each department, brand, or audience can have their own fabric display for appropriate branding. 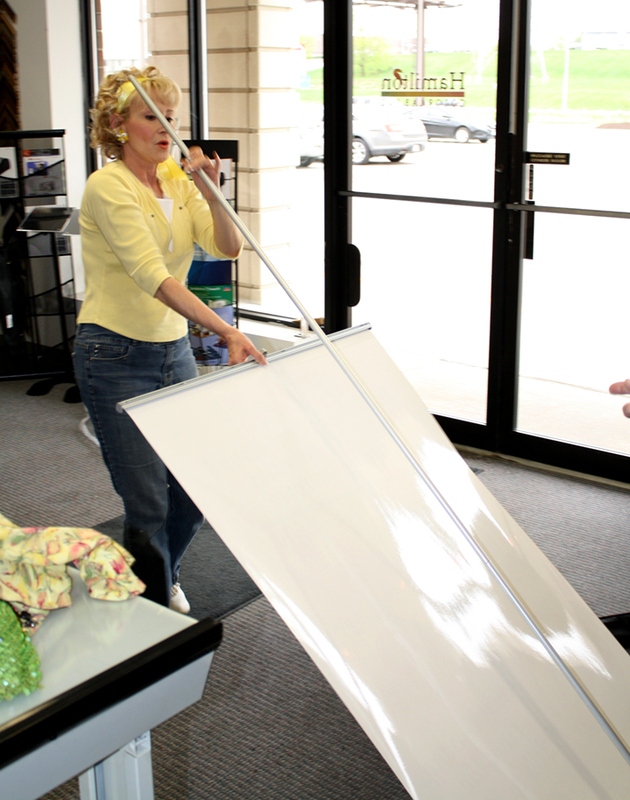 Tear down is simple, collapse the whole display, fabric and all, into a compact soft sided case and wheel it to the door. 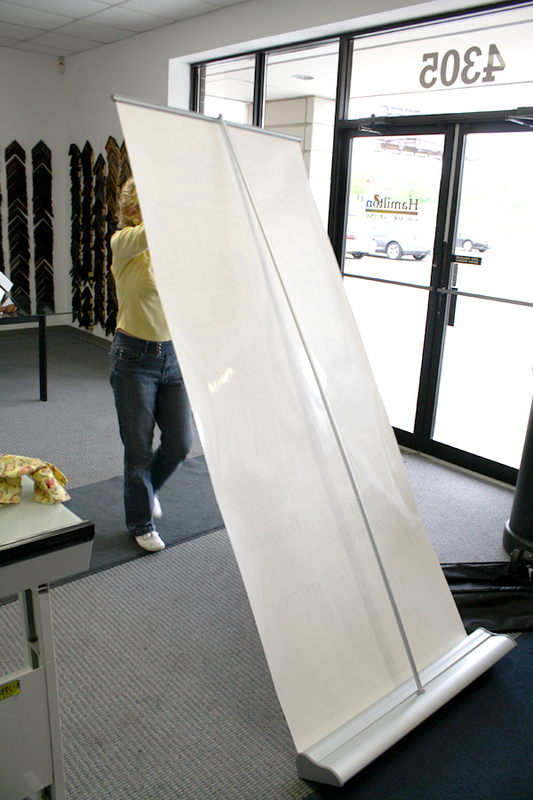 Portable tension Fabric Hopup displays are available in nine different sizes from table top to full booth size at 60″x89″. Different options include straight, curved fronts, end caps and optional lights. 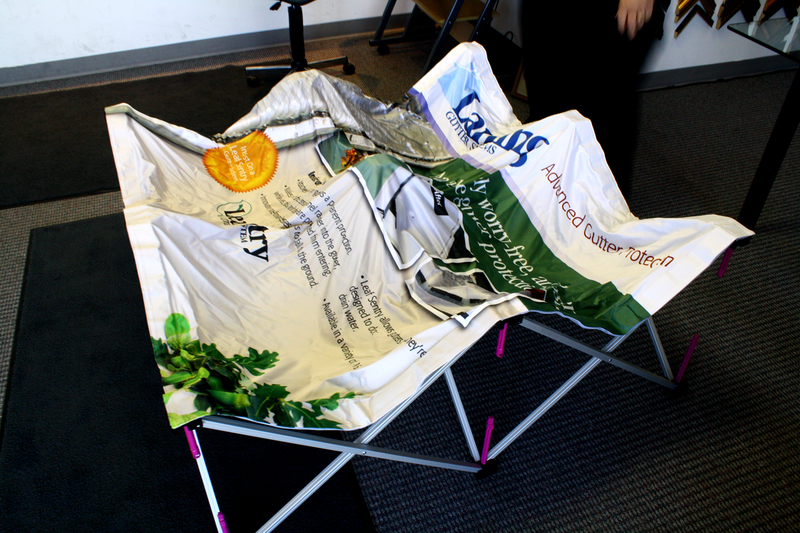 For just a little over a thousand dollars your business can have a complete, full size, display in a bag, with graphics. Contact Hamilton Color Lab for more information and a quote. Categories: Orbus Products, Trade Show Displays | Tags: business, Business Services, conferences, Convention and Trade Show Services, displays, Event Planning and Production, Exhibit and Display Vendors, nebraska, omaha, Portable and Modular Displays, Trade show display | Permalink.